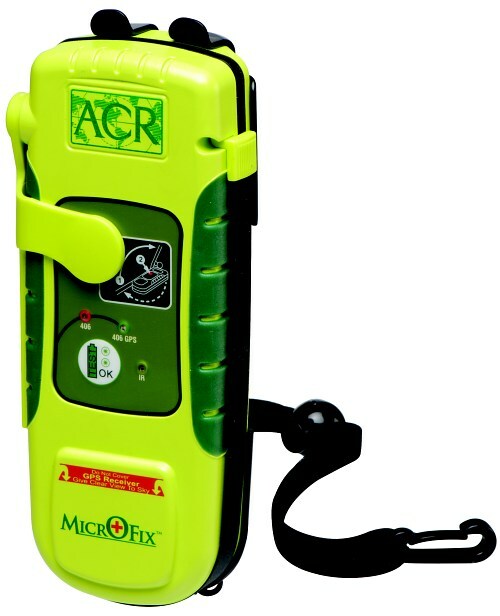 Finally, I can publicly announce one of the worst kept secrets in the business, the new ACR Electronics MicrOFix 406 Personal Locator Beacon. (Click photo for larger image) It was introduced at SHOT Show this morning. ACR claims this is the world’s smallest PLB with built in GPS. The MicrOFix is 35% smaller and 25% lighter than its predecessor, the ACR TerraFix, wighing in at just 10 oz (285 g). Size is 1.4 x 5.85 x 2.21 inches (35.5 x 149 x 56 cm). This truly is approaching pocket size and weight. Activation is by a single button, protected by the tab attached to the antenna, Deploying the flat stainless steel antenna, similar to that of the existing PLB 200 (TerraFix, et al) model, easy even with gloves on, uncovers the button. A single button make activation easy, especially compared to the two-button system on the existing PLB, one of it’s drawbacks that this new PLB addresses. It includes a full functional self-test including battery voltage and power indication and test of 406 MHz transmission and GPS acquisition. There is no external GPS capability, which is just fine. The new GPS receiver is reportedly much improved and there’s little to be gained anymore with an external GPS hook-up. There will be no non-GPS-equipped model. Typical operating life is given at 40 hrs at -4°F (-20°C) and 8 hrs at -40°F (-40°C). The pair of Class II lithium battery packs are non-hazmat making shipping a lot less painful. As before they have a five-year replacement cycle (11-year storage). 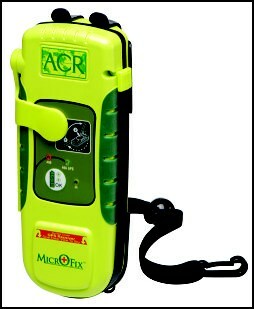 ACR Introduces MicroFix 406 Personal Locator Beacon (PLB) was written on January 11, 2007 and filed in Gear, News.